Finished filing taxes, now where is my tax refund? Filing taxes isn't all that fun, but getting that refund check can be. Find out what to do if you are wondering when you'll get your refund. SACRAMENTO, Calif — The deadline to submit tax returns is today. If you filed your taxes, you may be wondering: Where is your refund? How long does it take to receive a tax return? 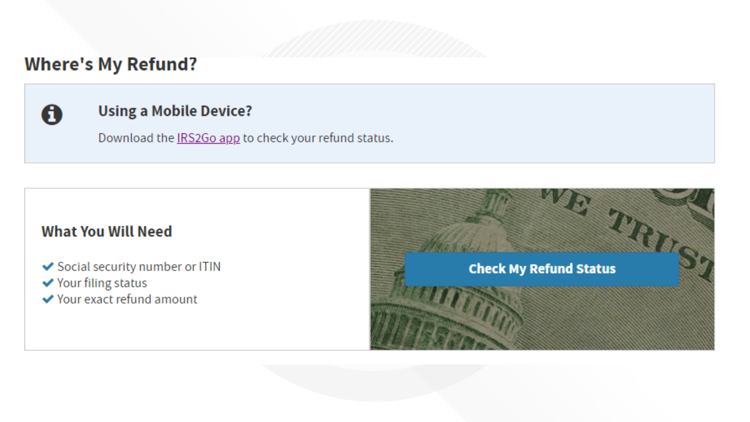 The IRS says that most refunds come back within 21 days. However, some refunds can take more time depending on errors or if the taxpayer chose to file via mail and receive their return via mail. If the tax filings were mailed in, it could take more than six weeks for the filer to receive their funds. Turbo Tax, a software company that provides tax paying services, says that it usually takes one to two days for the IRS to approve e-filed refunds. Step 2: Click on the button that says "Check My Refund Status"
Step 3: Fill in your Social Security Number or Taxpayer Identification Number, your filing status and the exact amount of refund you are expecting from the federal government. 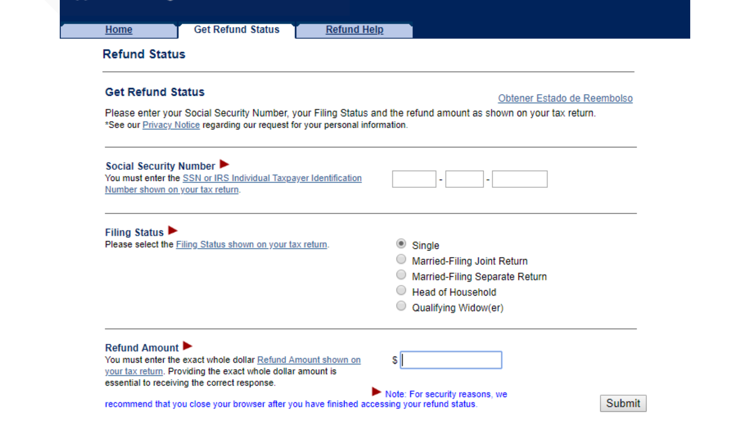 Step 4: There will then be a page that tells you the status of your return. 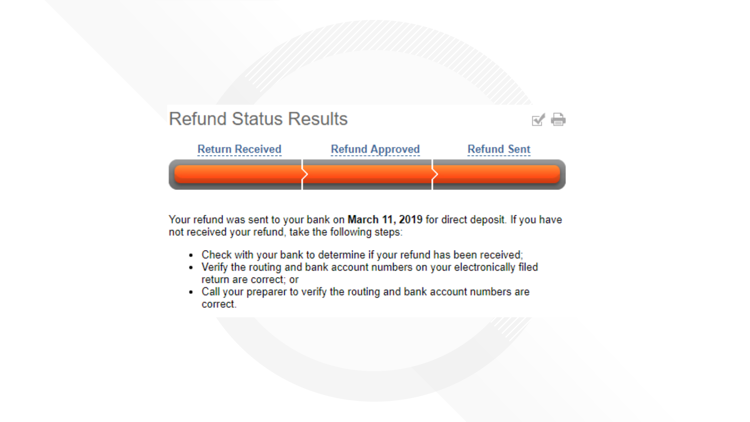 What should I do if I haven't yet received my refund? If you have checked your status using the steps above and your status tells you to contact the IRS you should do just that. Other reasons to call the IRS are if your return takes more than 21 days if you e-filed, or six weeks if you mailed it in. H&R Block Tax Professional Audrea Herrera sat down with ABC10 to help explain some of the differences, and common mistakes people make, in filing taxes this year.